There’s no sign on the awning, no tables except the ironing boards with little stools out front, and only three things on the menu, but the line still snakes out the door and down Telegraph Avenue every Tuesday through Saturday. Bakesale Betty, an enigmatic restaurant in Oakland, is only open between the hours of 11 am and 2:30 pm. On an average day, Bakesale Betty will sell roughly 600 chicken sandwiches each priced at $8.75, the last one selling out around 2:30 pm. Photo taken by Janice Rabe. “I’ll get two next time. One for now and one for dinner. It’s that good,” he says. The menu at Betty’s, a piece of butcher block paper taped to the wall, contains three items: the fried chicken sandwich, a strawberry shortcake, and a rotating variety of cookies. What Domagas is referring to is Bakesale Betty’s cornerstone: the fried chicken sandwich on a torpedo roll topped with slightly spicy coleslaw. “It’s a chicken sandwich so good you’d kick a kitten for it,” says Christopher Kelling, another Betty seeker. The famous sandwich consists of a hefty chicken breast that has been coated in buttermilk and a little cayenne, then fried to a crisp golden brown. The torpedo roll is sweet and springy with the just the right amount of squish to balance the crispy chicken’s coating. The slaw, which is a favorite part for most Betty-ites, consists of crisp green cabbage, thin slices of red onion, sliced jalapeno, and parsley, all lightly tossed in a vinaigrette of dijon mustard, red wine vinegar, extra virgin olive oil and a dash of salt. “It’s all about the slaw,” Domagas says. Keegan Amit, an art history student at Mills College, recently went to Bakesale Betty for the first time. Bakesale Betty is the brainchild of Alison Barakat, formerly a line cook at Chez Panisse in Berkeley, and her husband, Michael Camp. The concept started in 2002 as a small bakery stand at the local Oakland farmer’s market. Barakat would stay up all night baking, selling her pastries the next day. This is where the sandwich made its debut. In an interview with Oakland North, Barakat said that she never anticipated the sandwich would become their signature item. 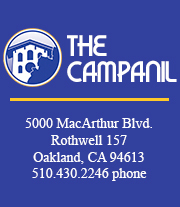 In 2005 the couple opened the restaurant shop at 5098 Telegraph Ave. in Oakland’s Temescal district. Before sites like Yelp and Urbanspoon, Bakesale Betty was strictly word of mouth. Especially after Barakat and Camp discontinued their market stand, searchers of the restaurant only had the line on Telegraph to help them find it. With these websites came the masses: people started talking about the sandwich online, and national media and magazines took notice. In 2011, the San Francisco Chronicle’s Sophie Brickman proclaimed, “Bakesale Betty: Oakland’s hottest chicken sandwich.” The same year, the Zagat Guide rated the restaurant a 25 out of 30 possible points, and the Huffington Post named the chicken sandwiches one of the five best in the United States. Bakesale Betty had become a phenomenon. Both Domagas and Amit heard of Bakesale Betty the traditional way for Betty’s: through friends. Strangers until meeting in line, they sat together at one of the communal mismatched ironing boards that serve as tables outside the shop. This is common practice for the restaurant. Strangers — a mix of Berkeley and Oakland residents, white collar professionals, and college-age customers — communing over food, swapping stories of how they heard about the nameless storefront with the to-die-for chicken sandwiches. Crowds start to gather an hour before the shop opens. During peak hours the wait time can be anywhere between 25 to 45 minutes, with the line reaching halfway down the block. Even with the hundreds of people Bakesale Betty sells to each day, it still keeps its sense of mystery.